WESLACO — Candidates for the city commission fielded questions during a forum Tuesday sponsored by the Chamber of Commerce. District 2 incumbent Greg Kerr faces former Weslaco Mayor Miguel Wise in the November election. Wise and Kerr often scrutinized each other’s record throughout the forum. Incumbent Olga Noriega of District 3 is being challenged by political newcomer Jose “JP” Rodriguez. All candidates spoke about working to alleviate drainage issues in Weslaco, a primary topic during the forum. Kerr said he guarantees to “raise hell” on the commission if a similar issue were to come up. The city of Weslaco sued Briones Engineering — the firm contracted to design its water plant — for negligence, fraud and breach of fiduciary duties in 2016. The lawsuit remains ongoing in district court. Wise emphasized economic development and drainage issues. “People in District 2 don’t pray for rain like everybody else because we’re going to get flooded,” Wise said. Noriega highlighted drainage, wastewater treatment improvements and fire hydrant maintenance, when asked about her three priorities. Rodriguez would push for infrastructure improvements — including street repairs — and fiscal responsibility. 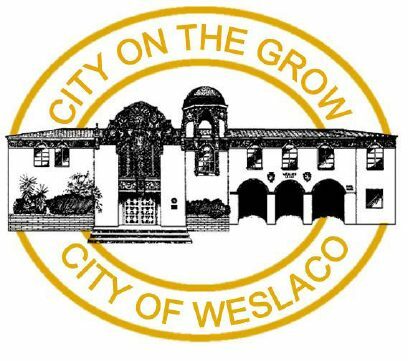 “We have to make sure that we’re researching, and that we are making decisions that are not going to have long-term consequences for the residents of Weslaco,” Rodriguez said. The candidates were asked by moderator Michael Rodriguez, metro editor of The Monitor, about their accessibility to constituents. Kerr spoke about his record of accessibility after city commission meetings, adding his cellphone number can be found on his city business cards. Mejia, a former candidate, withdrew from the District 2 race and will support Wise, he said. In Wise’s response, he slammed his opponent’s accessibility. “What if you don’t belong to his church, then what? (Do) you have to change denominations?” Wise quipped. Wise said the “best way” to communicate with constituents is a “boots on the ground” approach outside of city hall. Noriega encouraged those in her district to contact her on Facebook, email or by phone. “I don’t only go out and block walk or visit people when I’m up for re-election,” Noriega said. Rodriguez went as far as providing his home address in response to having open communication with constituents. Early voting for the Weslaco election begins Oct. 23.